Breast Cancer Pilates is a post-breast cancer and post-mastectomy treatment and rehabilitation therapy. Pink Physiolates is a Physiotherapy-Pilates based Programme on post-breast cancer treatment for women, developed by our Clinical Director Deborah Fernandes, MISCP. Deborah is a Chartered Physiotherapist and Lymphoedema Therapist with extensive experience in Lymphoedema Rehabilitation. Throughout her 17 years of physiotherapy practice, Deborah's role as a Physiotherapist is to maximise patient's independence, function and well-being, rehabilitate the oncology patient after the surgery and prevent or manage lymphoedema. 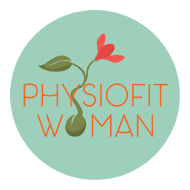 During the Physiotherapy Consultation, Deborah will assess the range of movement and muscular strength of the affected limb, assess the scar and possible presence of Lymphoedema and axillary web syndrome. After examination, a treatment plan will be put in place to help with your recovery and well-being. This Breast Cancer Pilates plan will include hands-on Physiotherapy and tailored Pilates exercises. Contact us today to book your place now!